Ricky Rubio is the star second-year point guard for the Minnesota Timberwolves. After Rubio tore his ACL, late last season, people were not sure how effective he would be upon his return to the court. After a slow start, the Spaniard has come back strong, averaging 10.6 points and 7.5 assists per game, in total this season. As a result of his unique style of play, Rubio has become one of the most popular players in the NBA and particularly the state of Minnesota. 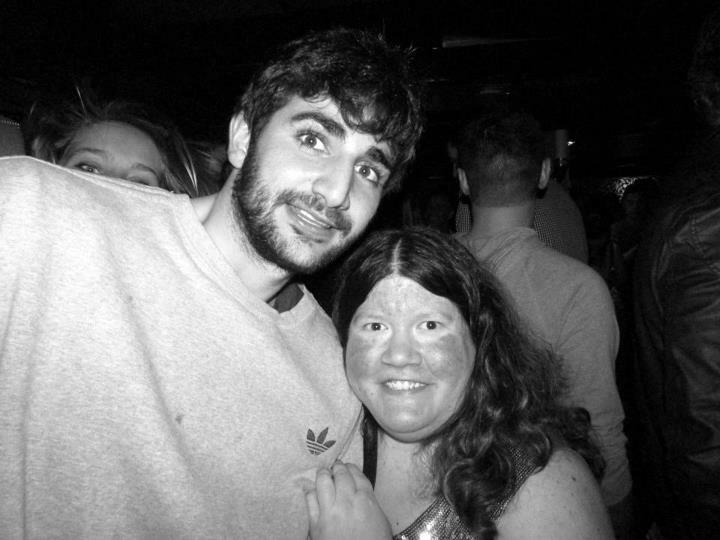 This week, a fan provided iFolloSports.com with a story and photo, chronicling an encounter she had with Rubio at the new Marquee Ultra Lounge & Dance Club, in downtown Minneapolis, last Saturday night. As the fan was leaving, she saw Rubio near the front entrance and asked him if she could get a picture taken, the point guard replied “no problem.” Another person took the photograph, with Rubio even asking if it was a good one. After the photo was deemed good to go, Rubio concluded the encounter by giving the fan a high five. According to those present, Rubio could not have been nicer. This is not the first time that iFolloSports.com has displayed Rubio showing a high level of generosity with fans. Check out this video of him signing autographs, prior to a game at the Target Center, earlier this season. This other occurrence took place last season, outside the JW Marriott, in downtown Los Angeles. Rubio just seems like an all around good guy.